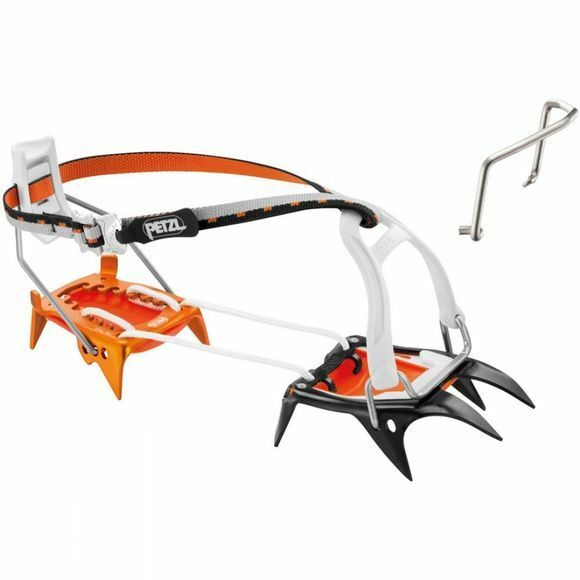 Designed for approaches and glacier skiing, The Irvis Hybrid LLU Crampon from Petzl have a steel front piece and aluminum heel piece, offering an excellent balance between performance, technicality and weight, and traction on ice. The Cord-Tec flexible linking system minimizes bulk for ease of carrying. The Leverlock Universal binding fits the front part of any boot. 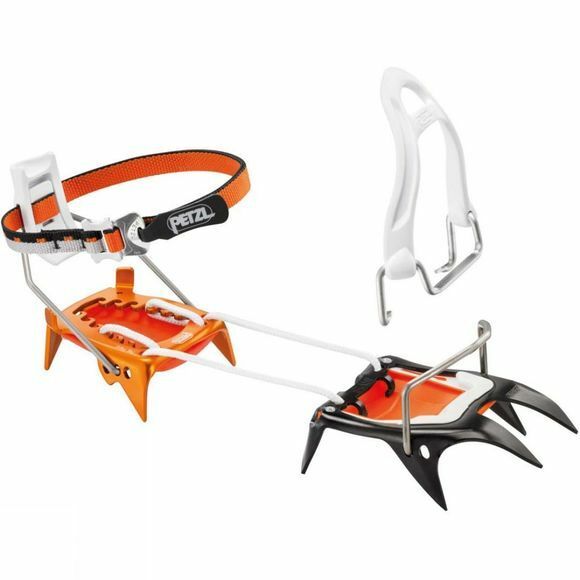 Crampons come with Antisnow and carry bag.